Resin Systems - RFMW UK, Ltd.
Resin Systems -Resin liquid casting for Waveguide Loads, Terminations, Microwave Absorbers, Dummy Loads & Attenuators. 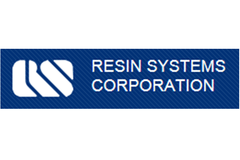 Resin Systems is a liquid resin casting expert supporting markets such as cast microwave absorbing materials for RF applications, X-Ray Shielding applications, and high voltage electrical components for the last 60 years. Microwave applications include Cast waveguide absorbers and load elements, Terminations to WR28, Tuned flexible sheet load stock from 2-26 GHz, Custom inserts and absorbers & Raw load materials. 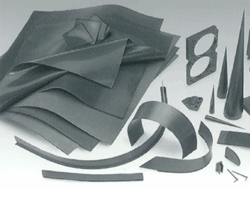 Custom cast RF Absorbing Material in complex shapes.